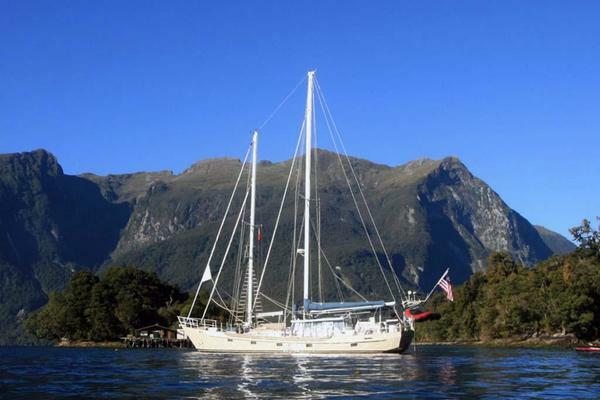 Willy McCormick began sailing in 1972 purchasing a 48′ wooden Ketch with 2 other former Marine Corps Officers for the sole purpose of winding down after a tour of duty that included Viet Nam. After cruising the East Coast and the Bahamas, he was firmly hooked on sailing and being close to the ocean. In 1976 a stint as a grocery store owner in Ohio was finished. He returned to sailing for the adrenalin rush and ongoing adventure. By the end of the 70’s he had his own yacht delivery company racking up over 100,000 miles on offshore deliveries and arranging many more through his network of Captains and mates. His personal log covers trips from Seattle, Washington to Lima, Peru, 4 transits of the Panama Canal, Nova Scotia to Trinidad and Monaco to the West Indies as well as numerous trips up and down the East Coast and charter seasons in the Caribbean. From 1983 to 1993 he owned a windsurfing school and retail business in Wilmington, NC where in the early 90’s he began doing Yacht Brokerage. 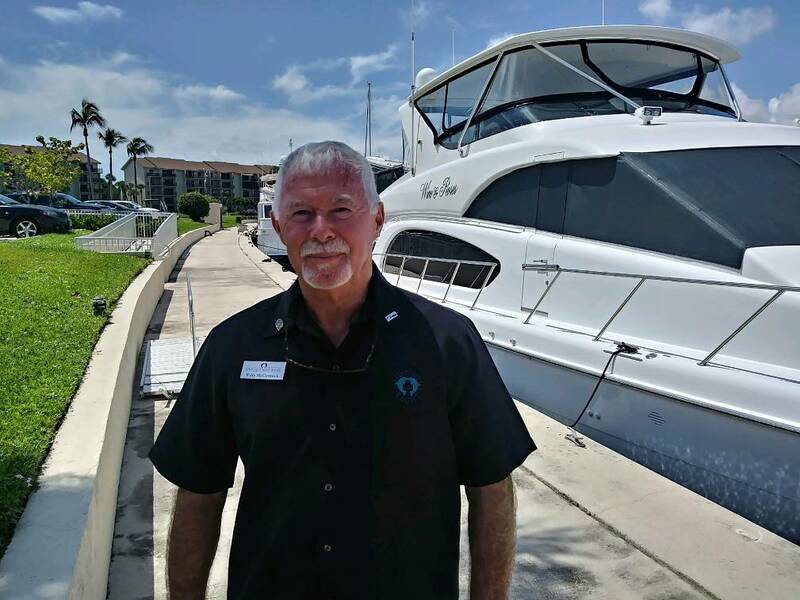 Seven years with custom builder Paul Bennet at Bennett Brothers Yachts in Wilmington, NC and four and a half years at Rybovich Spencer in West Palm Beach helped round out his expertise in yachting. Willy had a 100 ton license with Auxiliary Sail, maintains his Florida Yacht Brokers license, is a member of the International Yacht Brokers Association and a veteran of their yearly “Yacht Sales and the Law Seminars”. In 2008, he earned the designation of Certified Professional Yacht Broker (CPYB). In addition, while in Monaco, he traveled to Viareggio, Italy with his Client to inspect shipyards, such as Mangusta, Italian Yacht Group, Admiral, CCN, and AB Yachts. Ultimately settling on CCN for this clients 40m new build project. Every Broker needs a team to work with. Willy couldn’t find a better team than the A-Team at United Yacht Sales. UYS provides the professional services that complete the Buying or Selling process in a seamless, trouble free experience. We are all earning your trust, one boat at a time! If you’re truly looking for a Professional who will quickly earn your trust Willy is ready to work for you now! "During the over four decades that I have been the owner of Shannon Boat Company I have enjoyed a great relationship with Willy McCormick. In the early years, Willy was my number one choice for a yacht delivery captain. On innumerable offshore blue water passages, he always got the boats there safely with no drama, happy crews and satisfied owners. I also used Willy to provide instruction to new Shannon owners, where his calm demeanor, intelligence and good interpersonal skills were a necessity. When Willy transitioned into yacht brokerage, he became Shannon's point of contact in Florida, using his vast knowledge of quality sailing craft and small ships to provide excellent service to all his brokerage clients. I trust Willy explicitly. He is one of the few people that I would pick to be onboard with me heading into a raging gale. Please contact me personally if you need any further clarification about Willy's character and credentials." "I’ve known Willy McCormick for 10 years He has always exhibited honesty, integrity, and total professionalism. I’ve had the pleasure of working with him on multiple occasions and he always got the job done right and in a timely manner. He’s extremely knowledgable and I’ve often sought his advice and guidance on unique situations. I can highly recommend Willly whether one is listing or buying a vessel"
"I have known William McCormick for about 15 years now and I can tell you that he is one the most hard working Yacht Brokers I have known. He has sold about 4 yachts that I have owned and always with the utmost professionalism. He will get the job done for the client. "I used Willy McCormick to buy my first sailboat. Being a first time boat owner there are a lot of things that can make a first time boat purchase daunting to a buyer. However, Willy did a great job walking me through the process and making great recommendations along the way. Thank you Willy for offering such a great experience!" "The most difficult part of selling a Yacht is finding the right broker. I myself have been through this. Every flashy smile, well dressed gentleman with a big brokerage business card seemed like the right person for the job. At the boat show, you’ll get 100 of these. And you have to decide which one is worth listing with based on promises, strong handshake and the reputable brokerage they work for. If you’re lucky, you get a referral. But I’ve been through that as well with some disappointment. I’ll be honest, end of day, I was not impressed with the industry. It seemed like once you signed the listing, very little was being done to sell my Yacht. Often times, I wouldn’t even be notified when there was a showing. And once, I showed up at my Yacht in Florida and there was no sign, the boat had been left unkempt. It seemed like once they got my listing, the hard part of the job was complete. The referrrals came from friends, or family members or from someone that recognized the name on a billboard. But I was not finding a great broker. This changed when I met Willy McCormick. I can tell you he’s got a great smile. That he works for a reputable brokerage company. But that doesn’t set him apart from the rest. What separates Willy from the rest is that he is actually amazing at what he does. He is the broker that will go and pick up your Yacht hundreds of miles away and get it to where it belongs. He will utilize his endless connections in Florida to get the work you need completed. He will check on your Yacht regularly when you are 10,000 miles away and he will even oversee the work to make sure it is completed and your billing is honest. I understand that this goes beyond the job description of a broker. But finding a broker with these characteristics is paramount when selling a Yacht. Willy McCormick is professional, honest, responsible and most importantly, a pretty great human being. I would recommend him first and foremost to anybody looking to sell or buy a Yacht. And I welcome any calls for a personal reference on him because what I’ve written here only scratches the surface." "I have known Mr. McCormick (Willy) for the past 10 years. He is one of the best and most knowledgeable boat brokers in the southeast, if not the United States. We have previewed, inspected, water tested many boats over the years together, while negotiating purchase and or listing contracts. His vast experience on all types of watercraft (sail and power) from 20' to mega yachts is the best in the business, to insure you will always receive value for his services. Whenever I am looking for a new boat or selling my existing, boat, my first call is always to Willy for his guidance, ideas and suggestions. I highly recommend his services and i am proud to call him my friend."